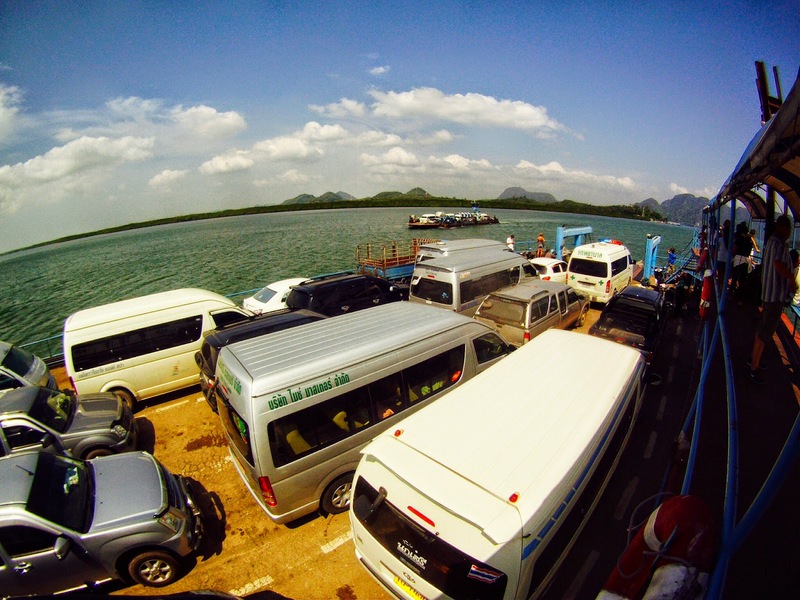 Our route out of Koh Lanta was definitely a lot more cramped than when we entered. Minibuses are certainly the cheapest form of public transport in Asia but you do have to sacrifice comfort, normally. Compared with Laos and Cambodia,Thailand's minibuses are much more forgiving to the taller traveller and for the first time in ages Jono and I were both able to sit down without requiring the flexibility of a contortionist. 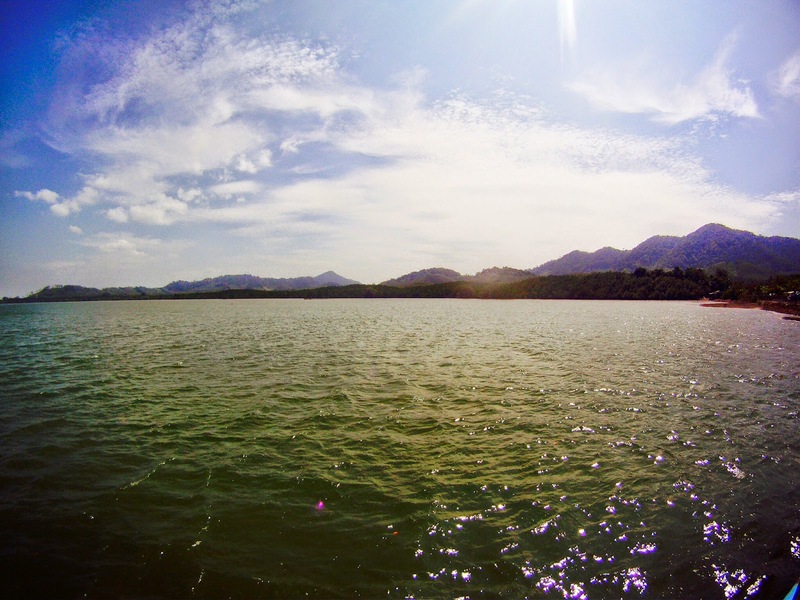 The ferry crossing to the main land offered a chance to grab some fresh air and enjoy the mangrove bordered shore. The popular transit route attracts many monkeys and its quite good fun watching these cheeky primates harass unsuspecting tourists and locals. If you take your eyes off your food for a second you'll soon regret it. The three hour journey to Trang went smoothly and without a hitch, although I guess our driver was a retired F1 driver. 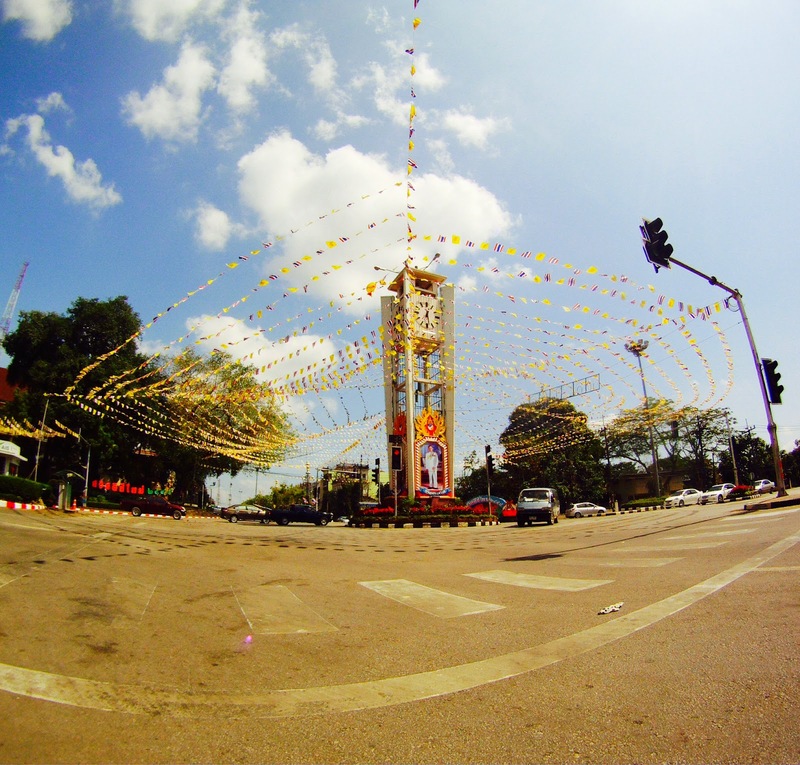 Trang is a provincial capital and offers very few attractions for tourists. 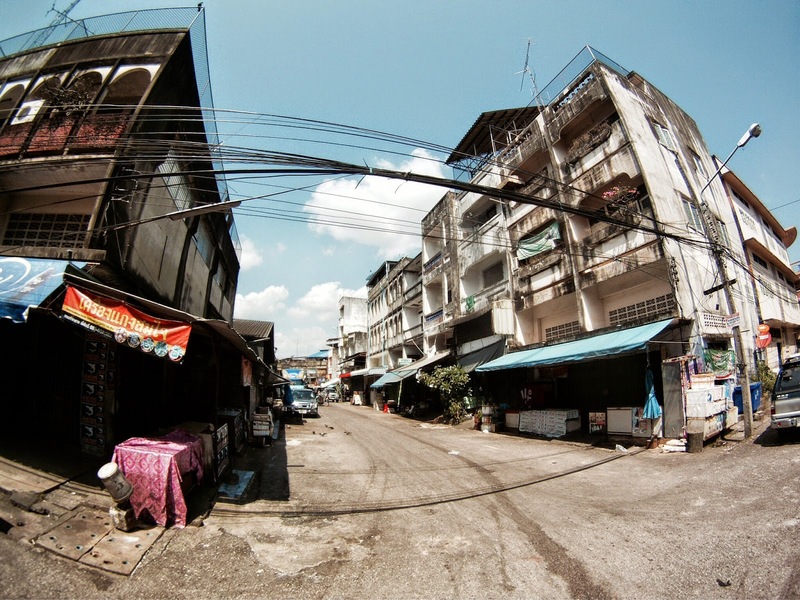 The streets are mostly made up of dull concrete structures and small Chinese communities. Its a transportation hub at heart and therefore the place most people travel through and only few stop. Naturally we steered clear of the flow of tourism and booked two nights at the Sri Trang Hotel. This reasonably priced establishment is in a prime location directly opposite the railway station and offers real clean rooms with all the mod cons. 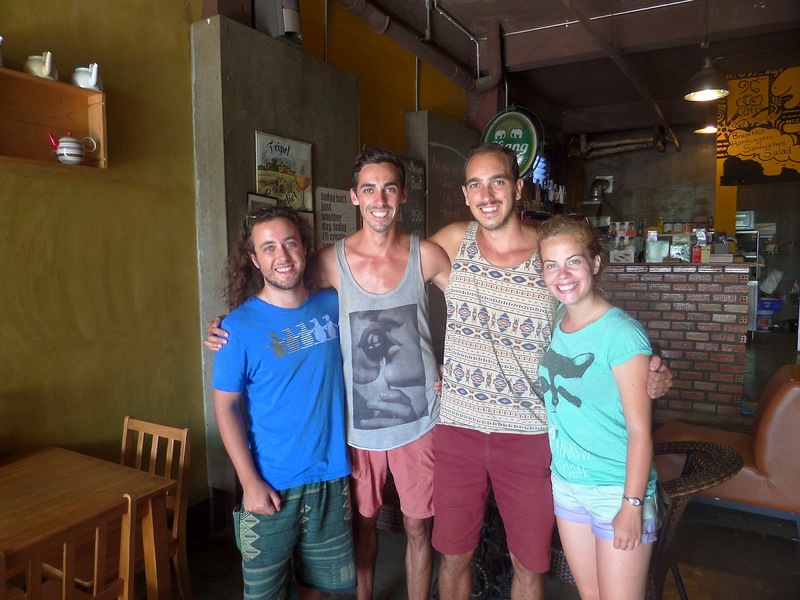 Sri Trang Hotel is the best choice in town for another reason. 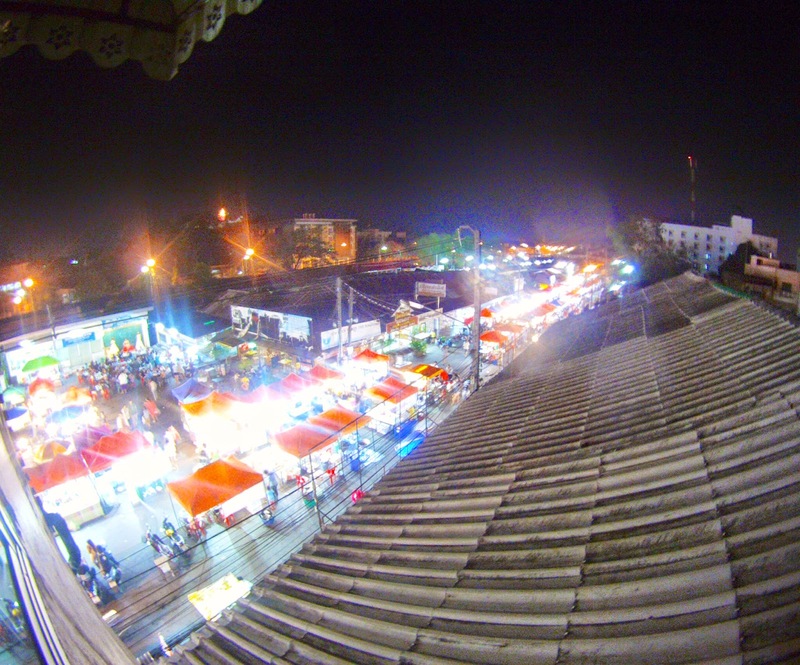 It's only twenty meters away from the street where Trang's night market sets up for the evening. The market is southern Thailand's best kept secret and offers a great selection of the countries best cuisine. You may say that these markets can be found all over but Trang's standing in the South of the country means you also get a great array of Muslim eats. In my opinion Trang's market beats Chiang Rai, Chiang Mai and Bangkok hands down. Once again we said goodbye to Ed and Dora, this time for the last time. Their adventure South was over and after a long day of travel they would be many miles North in Cambodia. Once again we were a lone pair in search for some travel buddies. Trang represented our last stop in Thailand and it was soon time to travel towards Penang in Malaysia. The journeys a full day of travel which is normally ok but its the number of transfers that takes a toll on your energy levels. First we travelled from Trang to Hat Yai by minibus. 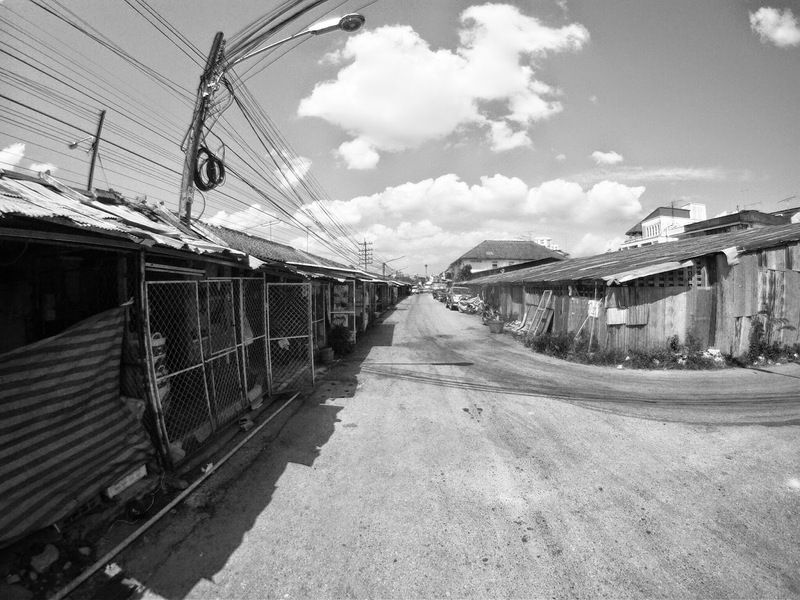 Once you reach Hat Yai we had to catch a motorbike taxi to the other side of town and wait for a second minibus. A few hours later you arrive at possible the busiest border we have ever encountered. The Thai/Malaysia near Hat Yai border is a favourite "visa run" option for foreign workers and if you cross on a weekend like we did you can expect queues that last hours. In European countries the queues would be well organised. In Thailand however queue cutting is a national pastime and the main culprits (from what I observed) are little, elderly Chinese women. On one occasion a coach load of these "grannies" approached the queue from the exit end and cut in right at the passport desk. Luckily the Thai people are a peaceful bunch and amazingly the exploits of the "Hells Grannies" did not spark off a large scale riot, although I did feel like attempting to give a few of them a very nasty paper cut with my passport. Our third minibus took us the rest of the way to Penang and weirdly the Malaysian side of the border was eerily quiet. I guess the main bulk of backpackers in South East Asia adopt the typical loop of Thailand, Cambodia, Vietnam and Laos, but does this mean there's less to see in the Malay Peninsula?